New Canaan, along with 13 other area towns, will now be able to set up emergency shelters wherever they need to be deployed. Each of the 14 towns in the Region 1 Emergency Planning Team -- which also includes Norwalk, Darien, Fairfield, Westport, Bridgeport, Greenwich, Stamford, Wilton, Weston, Easton, Monroe, Trumbull and Stratford -- got an early Christmas present Monday thanks to a U.S. Department of Homeland Security grant: Cargo trailers stocked with blankets, cots and shelter kits. The trailers were delivered to the Fairfield Fire Training Center for pick-up by each town or city Monday morning. The trailers cost about $9,000 each, and that includes more than 200 blankets, 110 standard cots, 12 supportive care cots and shelter management kits that came with each. "It's extremely important," said Weston Police Sgt. Michael Ferullo, chairman of the Regon 1 planning team, said of the emergency gear. Individually, he said, it gives each municipality the ability to move its emergency shelter from place to place. "And because this is a regional group, if Fairfield needs assistance, or Westport needs assistance, we just need to hook up and go." 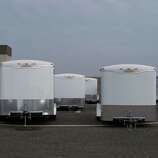 Ferullo said the trailers allow a community to set up a shelter quickly. "We have a great little holiday gift for all the towns," said Michele DeLuca, assistant emergency management director for Norwalk. "All of this has been a work in progress for a couple of years. It really has been a group effort." The group effort is what is behind everything the state's regional planning teams do, according to state Department of Emergency Management Homeland Security Commissioner Peter Boynton. "The feds don't want to deal with 169 individual towns," Boynton said, but rather with county governments, something Connecticut doesn't have. Instead, the General Assembly set up the regional planning teams across the state, and each team makes the decisions on how to best spend state and federal money for their particular area. "It's been very successful," he said. "Region 1, which is most of Fairfield County, has different priorities than Region 4 in the northeast corner of the state. "The cooperation is phenomenal," said First Selectman Kenneth Flatto, who along with U.S. Rep. Jim Himes, D-Connecticut, was on hand for the delivery. 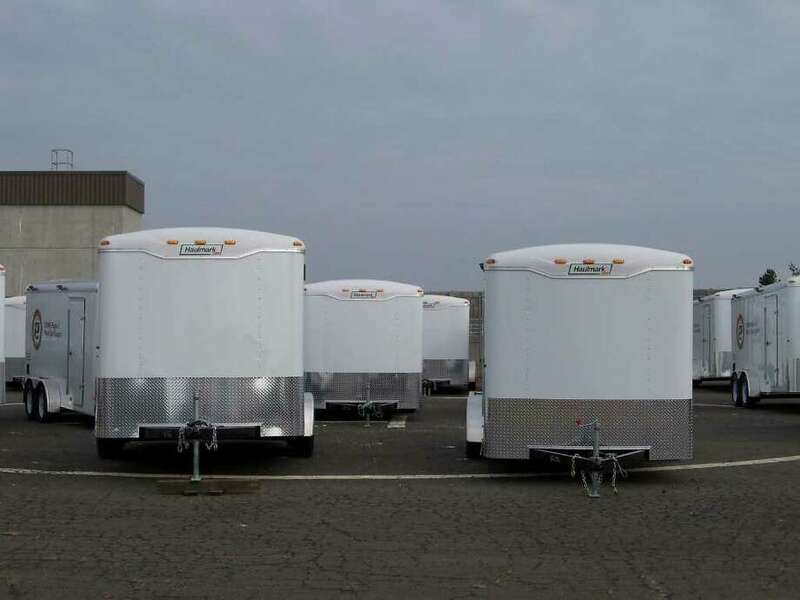 The trailers were purchased through a bid process coordinated by Bridgeport and can be used by the municipalities or the Red Cross to support local emergency shelters.